Follow @mcphoo Tweet What's a "perfect rep"? Where does "bone rhythm" come into the kettlebell front squat? Why "fire the lats" in the swing? What does breathing have to do with KB pressing? How alternate low and high volume presses? What's the point of the high hip bridge in the Hardstyle or Kalos SThenos Turkish Get Up? What's double kettlebell work like? What's teh difference between cardio and Vo2max work with kettlebells? These are some of the questions i've been looking at here at b2d. This page hosts links to the B2D articles investigating these questions. The goal of this wee article is to act as a one click reference point on B2D to articles relating to kettlebell practice. I'll try to keep the most recent first in the list. If you have KB practice questions not addressed in these posts, please add a comment to this post and i'll do my best to get it addressed. Archive: Page from hosting the First HKC in the UK. If you've worked through Enter the Kettlebell (review here), you may want to think about double kettlebells with that ETK flavour/solidity found in RTK. These seem more and other than just extra weight, but in this second piece on RTK - a kind of different demand in lifting. This third piece is on when one can get lost in the movement in a not zen way, and what some aids for recovery might be. And then there's totally losing it with the heavy day double press. Episode 5 in this series: high heals in the C&J and Uneven Swinging & Pressing. 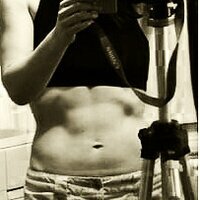 Epsisode 6 a gal deliberately trying to gain mass. Episode 9 The Swing in RTK - a new variant of running the bells. Epsisode 10 Year End Up Date with RTK. Kenneth kindly participated in an interview for this discussion of his long time in the making exegisis on vo2max conditioning. i think this is my fave KB movement. It brings together so much: core, balance, coordination, chest, arms. awesome - and especially if you don't have a pull up bar it's an awesome companion there too. 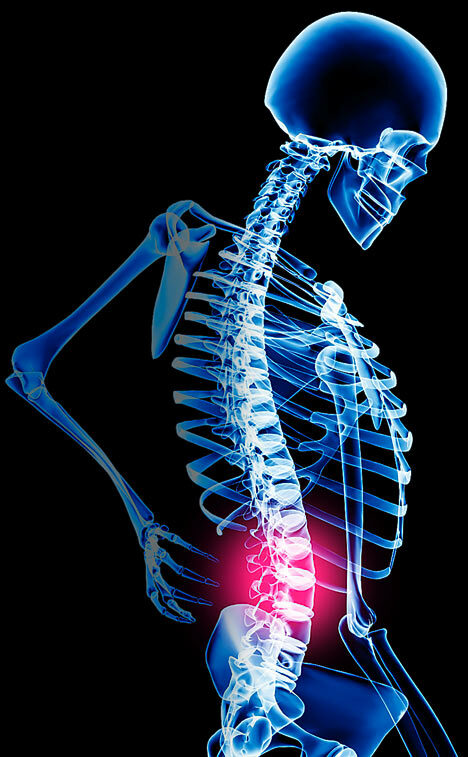 This link is a mini-index all on its own for the series that looks at the role of form, the clean, high volume and the arthrokinetic reflex all in the quest of the perfect press rep. This includes one of the most important to me: coming back to the kettlebell front squat - a reflection on the role of form for performance - that started the whole series. Mitochondria and the value of steady state - despite being disparaged by some there's a role for everything. Indeed, related research shows cardio far from detracting from strength training can enhance it. Running the Bells is a way to simulate hill workouts with kettlebells - when it's cold & wet out or the bike's up on blocks, this is a great way to get that hill series for endurance. The refined turkish get up provides an overview of what's also become known as the Kalos Sthenos TGU. A discussion of what makes the KS TGU special - the high hip bridge (and Why the High Hip Bridge in the Turkish Get Up) - is also linked, as is a series of questions about how the TGU works as a movement screen and for what. The RKC certification weekend is physically demanding - there are some social/participatory aspects to consider as well to make it an awesome weekend. Kettlebell Front Squat: how to with Will Williams, emphasis on breathing. When i started kettlebelling, i don't think i really appreciated the size of the lats, how they worked, or how to "fire" them knowingly. 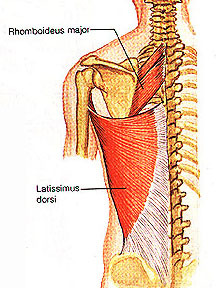 Here's a few tips you may find helpful on finding your lats, what the job and movement of the lat actually is, and how they may contribute to your kettlebell swing perfection. What can i say? they seem a kind of perfect match for KB'ing? 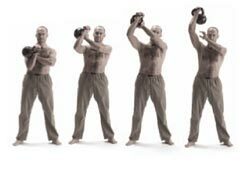 If i've missed anything - like an article that references kettlebells isn't necessarily about kettlbells, the search function on the site should help find it. There's also a humungous page of all articles that gets generated if you hit the kettlebell label.